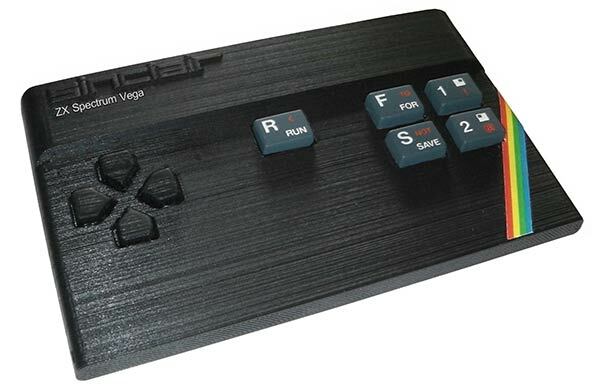 Sir Clive Sinclair has launched a new crowdfunding project to fund the Sinclair Spectrum Vega. It is 32 years after the first ZX Spectrum rolled out. 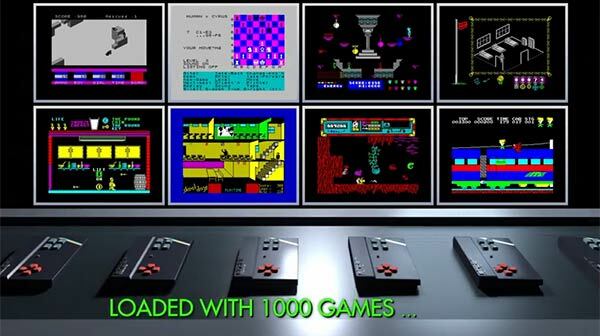 However, rather than this being a new platform it is simply a retro-gaming computer system which runs and is preloaded with 1,000 classic Spectrum games. The Sinclair Spectrum Vega is being marketed as a "low cost games computer". The promotional blurb says that it "takes advantage of major advances in technology to achieve big cost savings". However this ZX Spectrum emulator is expected to be priced at "well below £100," which sounds worryingly expensive. Actually, the first run of 1,000 Limited Edition units are priced at exactly £100, including UK delivery. However, the FT reports that all the proceeds from this first batch will be given to Great Ormond Street Hospital for Children. We are told that the Sinclair Spectrum Vega uses "a low cost micro-controller and a clever piece of software," to enable it to play the full library of Spectrum titles available – over 14,000 of them. More specifically the Vega contains a small circuit board with three chips; an ARM based SOC, a memory chip and flash RAM. The system also accepts SD cards for users to add software. The technology behind the machines isn't detailed any further but good Spectrum emulation has been a snip for many a system for years. ARM-based devices such as handheld consoles, smartphones and the Raspberry Pi can play 'Speccy' games with aplomb. Ease of use is good. The new Sinclair Spectrum Vega plugs straight into your modern TV and is ready to play with straight from the box. Around 1,000 games are built-in to the Limited Edition's system memory so as a plug-in-and-go system it offers great convenience. A menu system lists the games, which load automatically when selected. To change games you have to press the system reset button which will take you back to the menu. The new design of the computer omits the full keyboard for the console actually being the controller with directional 'joystick' buttons and the other bare necessities for getting a game loaded and playable. What are readers thoughts on this project, could it make you a happy retro-gamer or are you unhappy about the concept/execution? I think one of the appeals of the spectrum was the looks and rubber keyboard (even if it was considered crap at the time), so I would have thought something that looked more like the classic spectrum would have been more appealing, after all wasn't there a crowd funded Bluetooth pc keyboard offered that was a copy of the spectrum? Turning it into a joypad is a step in the wrong direction. Most people I knew with Spectrums actually played games with the keyboard, and would want to do so on an emulated system like this. I can't really imagine playing the likes of Skool Daze with a joypad. The thing with the pricing is that you can pick up a +2A machine bundle with loads of games on tape and a joystick for around £50 tested and working. Then get yourself a Divide for about £50 (£50 version has SD slot & joystick port) and that will add the ability to run the TAP files you can legally download from World of Spectrum. Then a final tenner on a D Type Scart cable and you are sorted. Granted that there costs more than this new VEGA but gives you more options than just the games in a small handheld controller. There is no way of playing stuff like Skool Daze or the text adventures on that machine unless it is essentially an emulator that you can pull up an onscreen keyboard. Mind you I do like the 10% to cover licensing the games being donated to Great Ormond Street Hospital. Lords of Midnight would be rather tricky on the Vega! If you can get full screen without the blur it'll look rather nice (I think it's called Bilinear Filtering, something like this). The only emulator that does this that I've found so far is Spectaculator.